Posted on 19th July 2018 at 09:39. The reason is that it could do more harm than good. “keyword stuffing”, as it is commonly known, used to be rather successful. However, search engines wised up not long after and began to penalise websites for doing so. These days, stuffing a keyword into your content too much can result in a knock to your rankings in search results. In some circumstances, when you use keyword stuffing too much, your content could be removed from search listings completely. Why is Keyword Stuffing a Problem? 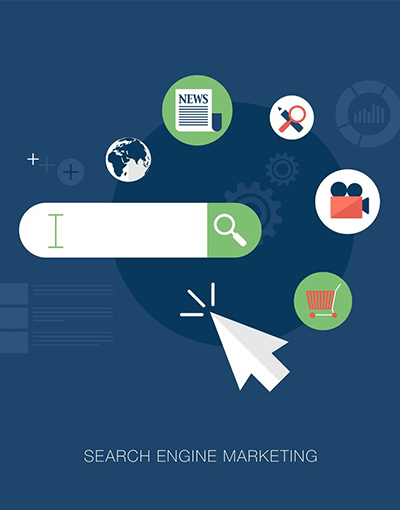 The purpose of a search engine is to connect an audience with the content that answers their questions. This means they use algorithms that investigate what content answers what questions as informative and interesting as possible. If you write in a style that is not intended for a human audience but is instead structures to slip into an algorithm, you will find that your content will be viewed as spam. It will not serve any use to a reader, meaning search engines will decide it does not deserve attention. How do you Know if you are a Culprit of Keyword Stuffing? Unfortunately, there are still many companies out there who like to implement keyword stuffing into their content. However, these companies fail to realise that doing this can and will result in a negative effect on their rankings in search results. Here, we have two examples of what you should not do. Let’s say a home design website would like a blog post to rank highly using the keyword “stainless steel sink”. In this scenario, an example of keyword stuffing would be if they implemented the phrase “stainless steel sink” in every other line, whether it be in context or not. There is, in fact, a handy equation that you should apply for the best practice in how often you should implement your keywords. It is a flexible guideline to follow, but you should be aiming for a keyword density of 2 percent or less. So, this means for every 100 words used in a blog post, the keyword should only be used no more than twice. While many companies attempt to avoid alienating readers by writing spammy content that is unhelpful, some will sneak in keywords where the eye cannot see. This can include making the text the same colour as the background or placing the text within the code. This is purely for the sake of being found in search engines and serves no purpose to the reader. Though many may think of this as a clever way to fool algorithms and cheat their way to the top, it isn’t. Search engines will recognise these poor efforts, resulting in the pages becoming penalised. If you want your website to be successful, it’s important to do what is right and don’t try to trick search engines by cramming in your keywords as much as possible. To succeed online, you need creative content that is written with your readers in mind. Search and More are here for all your content needs. We write regular blog content, email newsletters and even full web copy for all of our clients. We learn about your business to translate what you do to the everyday man. This informs, intrigues, and builds trust with your potential clients and consumers. One important thing that must be remembered, is to ensure that each content page focuses on a single primary keyword that is a close representative of the content as a whole. This keyword should be a popular search term that has little competition. This makes it a ripe target for your page to achieve a higher rank. If you focus each page on a separate keyword, you are making it easier for search engines to understand what each content page is about. It will also mean that you won’t have two or more of your pages fighting for the same ranking. Another good practice is to make sure your content has a minimum of 300 words in the main body copy. This let’s search engines know that this piece of content is probably robust enough to provide information that is valuable. This also helps to ensure that the keywork density is below 2 percent. Although keyword stuffing will only result in poor rankings, it is a good idea to incorporate secondary keywords and keyword synonyms. Doing so will reinforce the focus of the topic. As well as this, it is also smart to place the primary keyword within elements of the page. This includes the page title, alt tags in one or more images, the first paragraph, and one more towards the end of the content. Though these are useful tips to help improve the content on your website, it helps to have a team of experts to take the reins and provide you with insightful content that will inform your visitors. Our service is tailored to your needs, so we ensure that the content we write will truly demonstrate the service you offer to your clients and consumers. Get in touch to find out more.